On May 5, The Kiawah Women’s Foundation (KWF) will once again deploy its army of volunteers to Freshfields Village for its annual Food Truck Rodeo fundraising event. The group of women, more than 100 strong, are dedicated to alleviating the hunger of 300 at-risk children each week on Johns and Wadmalaw Islands. This event has become a Town favorite over the past five years with food trucks, music, and a silent auction. This year’s effort comes with a very prosperous twist for one lucky winner. 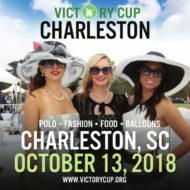 Through the generosity of our neighbors and friends at Hood Hargett Insurance, led by principles Seth Collins and Cameron McCutcheon, a unique trip including $5,000 cash will be raffled off as the grand prize in a limited entry contest. A maximum of 300 tickets (one ticket for each child fed) will be available, at $100 per ticket. 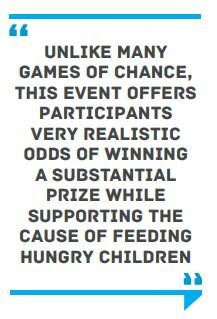 Unlike many games of chance, this event offers participants very realistic odds of winning a substantial prize while supporting the cause of feeding hungry children. The winner will receive a choice of three possible trips for two, including an Ireland golf adventure, a Tuscany culinary experience and a Napa backroads and railway tour of the wine country, plus $5,000 cash for trip expenses. The winning ticket will be drawn at 3 p.m. at the Food Truck Rodeo. Winner need not be present to win. 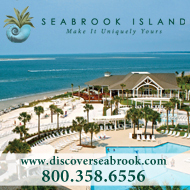 Raffle tickets are available for purchase April 5 – May 5 by contacting Kiawah Women’s Foundation Board Members, Cary McGann at 540.471.0364 and Theresa Widuch at 843.768.9576 or through Hood Hargett and Associates located at the Biz Hub (above Blue Mercury ) at Freshfields Village. A minimum of 100 tickets must be sold for the raffle to take place. The Food Truck Rodeo is May 5 from noon-4 p.m. at Freshfields Village. Attendees can enjoy live music and choose between a variety of culinary options including Bacon Me Crazy, Happy Thai, Booze Pops, Dough Boyz, Cory’s Grilled Cheese and Caribbean Creole. Beer and wine will be available for purchase at 48 A Wine Bar. In addition to the mission of feeding children at risk for hunger, the KWF also leads a Christmas project to provide gifts for the students at Haut Gap Middle School and Johns Island High School. These children are often not recipients of Toys for Tots or other programs focused on younger kids. This same group of Kiawah women also provide meals to the St. John’s High School football team for their away games, and operate an emergency closet for clothing when children need unexpected help. Special thanks to sponsors, Hood Hargett & Associates for their continued support of the Johns Island community. 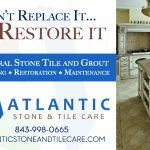 Hood Hargett is dedicated to serving the personal insurance needs for coastal property owners through home, flood, auto, collections, builders’ risk and umbrella policies.